Last weekend, I had the pleasure of attending ArnFest, the annual real world gathering of members of the Old Wood Working Machines forum. Although it ran for 4 days total, I only went on Saturday, for the swap meet, and there was a lot of good stuff to trade and sell, and great people to meet. One of the items that caught my eye was a 1910s-ish era ACME post drill. What's a post drill? This site is glad you asked; in short, its a hand cranked drill press designed to be mounted on a post. It was never designed as a precision tool, more of a rough utility tool for a barn or small shop. One distinctive feature is that they have a weird offset chuck that required special drill bits with uniform shanks with a flat on the side. I had been curious about them, when one popped up right there in front of me at ArnFest. For some short money I thought I'd give it try. On the plus side, it was parts complete, and more dirty than rusty, and very thankfully, someone had already converted the chuck to a modern 3-jaw centered chuck, allowing me to use modern, normal shank drill bits. So, it went home with me, and over the next few days, I went through the clean up process... clean off the gunk, dirt & grime; disassemble everything (thankfully, every piece could be taken apart without much work - no parts were fused together or seized up); take all the rust off; re-paint the appropriate areas; build a "post" to mount it to; reassemble it all and lubricate it; and finally, hang it on the wall and try it out. Finally, its was time to try it out. 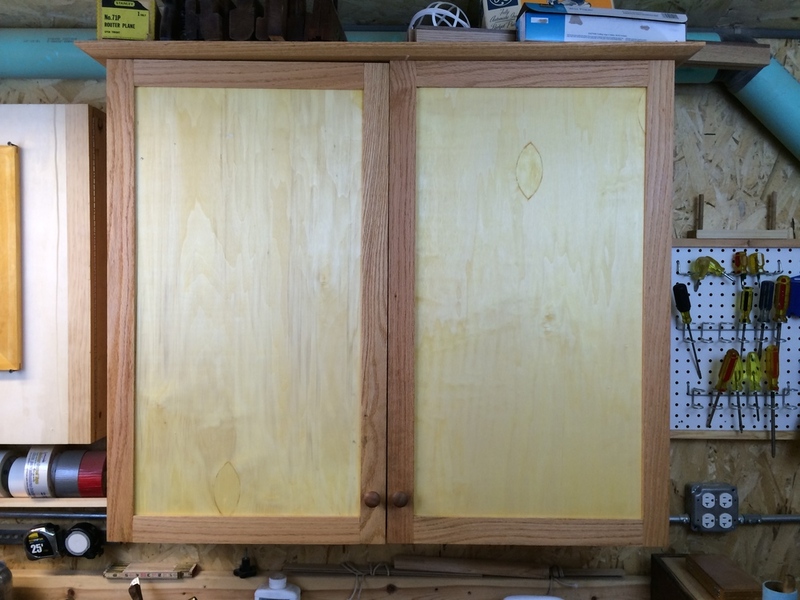 And, well, it worked, but for a variety of reasons, it just wasn't going to become my new "upgrade to the past" alcohol powered drill press, replacing my electric one. For one, with the modified chuck, there just isn't enough clearance for work taller than 3" or so, depending on the bit you use, even with the table all the way down. Second, it is self advancing, and even at the fastest adjustment, it advances SLOWLY. Really, really slowly. Finally, it has some runout issues (wobbly bit, due to a slight bend in the shaft/quill) that would always be annoying. So, while it won't end up being a useful tool in the shop, I did have a lot of fun restoring it, getting it to work, and learning about it. I just need to find it a good home. Here's a short video so you could see the drill in action. I apologize for the "upright iPhone" aspect ratio: it seemed to frame the subject well. I am demonstrating the operation, and some issues, with a 1910's era ACME post drill. Tool addiction is a real problem for some. I see the appeal, and am aware of the danger. I'm still in control, and managing to keep it at bay. At least that's what I'm telling myself. With that in mind, a few weeks ago I found myself with a few hours to kill in a little town, and wandered into a 2nd hand store. I found a box of old rusty tools, and saved this little hand plane. It was all rust, with a broken tote. $5. After an afternoon of cleaning it up (Evapo-rust bath, re-glued the tote, sanded and shellacked, scoured and re-painted the painted parts, honed, sharpened, and set the iron) and posting some pics on Lumberjocks.com to let the community help me identify it, I present my Ohio Tool Company Savage #3. Apparently, "Savage" was Ohio's discount line. This one is a size I didn't have, and a handy little narrow smoother now. I just added a new (old) tool to my collection, a Stanley model 246 mitre box. I became interested in these types of tools for several reasons. I had a chance to use ones like this during my recent class at the Woodwright's School, and really enjoyed them; I have been getting more interested in hand saws in general and have been learning about sharpening them; and I hate using my 7 1/4" Mikita power chop saw. 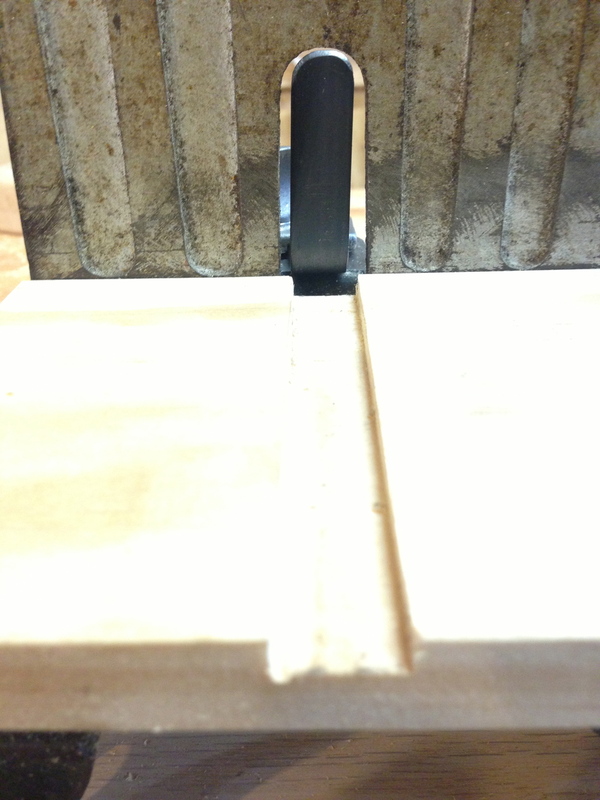 A mitre box, and the modern power equivalent, the chop saw, is a great tool for making cross cuts, and angled, or miter cuts. Right angle cross cuts are hard to do on a band saw for work over 14" in length. They can be done by hand with a crosscut backsaw and a bench hook, with fair accuracy. 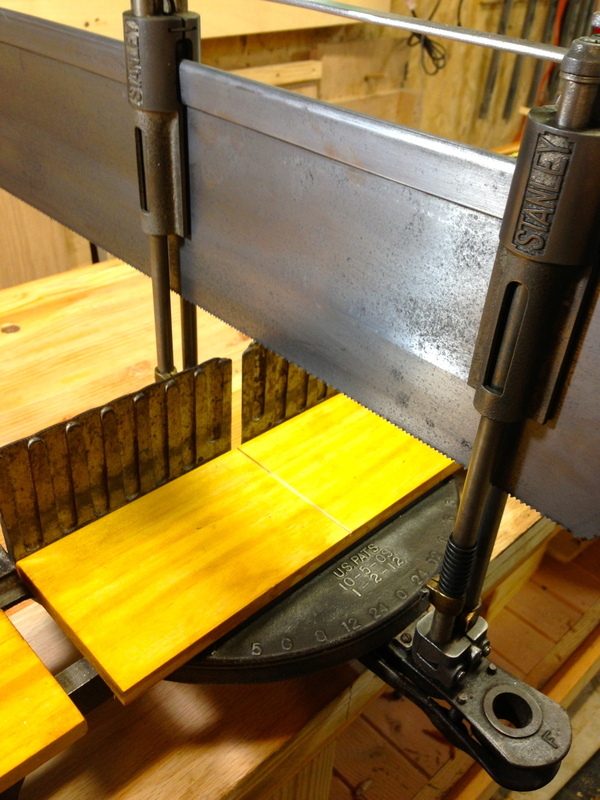 And with a bit of setup, they can be done very accurately on the table saw, with a special shop made crosscut sled. But nothing beats a mitre box or power chop saw for fast, convenient, and (with a stop blocl or guide) repeatable cross cuts that involve little setup. But my powered chop saw is unpleasant due to the noise, dust, and difficulty of calibrating it. It's just not that accurate. 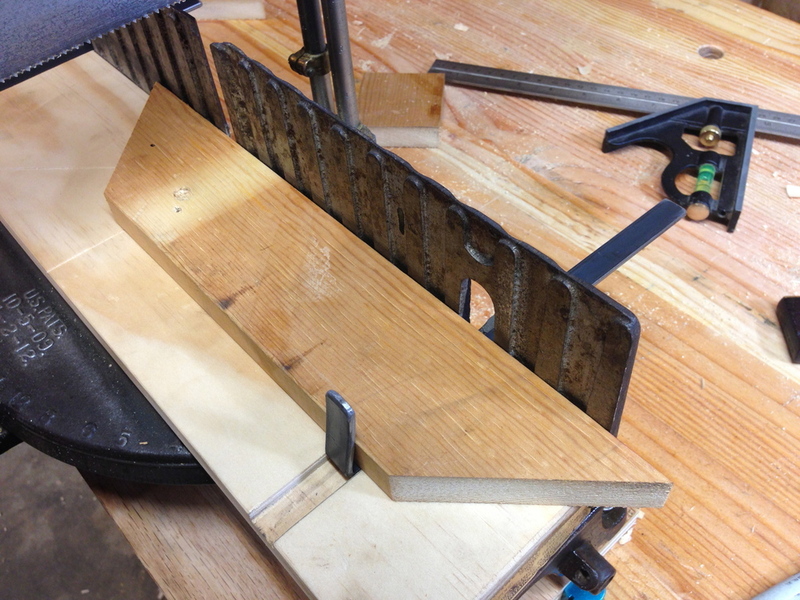 Without being able to reply on it for precise cuts, I used to use to for rough cuts, and then cleaned those up with one of the other methods described (or a shooting board on the bench). If I stared with that saw, I'd spend time cutting/trimming everything twice. It was a $100 or so saw when I got it several years ago, and while it does the basics, it just isn't a very good tool. The upgrade from the one I have is a good to high quality $500-$800 sliding compound miter saw. One like that would be much more precise, have a wide depth and range of cut, and would do a lot, like... actual compound cuts. But it would still be noisy, spew dust all over, require a pretty big footprint in the shop, and its a lot of money I'd rather spend on other things. The old-timey hand powered mitre box is super precise, quiet, doesn't spew sawdust everywhere, and has a rather small footprint. It can easily be set under a bench when not in use. And it just looks cool. After learning about what to look for in mitre saws in a podcast by Bill Schenher at Billy's Little Bench, I saw one listed for a good price on eBay, and won the auction for about $80 shipped. It arrived a few days ago, and spent some time this weekend cleaning it up. Restoring an old is a lot of fun for me, for some weird reason. I like taking something that someone else has discarded or thinks is useless, and giving it new life. I'd like to think that the original owner or owners would fell good that their old trusty tool is getting another chance to do useful work. I'n not a preservationist or crazy "restore to like new condition" type of guy, but I like to clean of the dirt and crud, get rid of the rust, polish the brass, finish the wood, and make it work like it was new. This went pretty well, and with the help of the original manual and parts list, I was able to take it apart, put it back together, and adjust it to perfection. As far as I can figure it, this mitre box dates to the 1920s or so. These mitre boxes were sold by Stanley, and Disston supplied the saw. My saw, oddly enough, has a Disston medallion on the handle, a Disston stamp on the back bar, but the etch on the saw plate itself says "Langdon Mitre Box, Millers Falls". EDIT: The saw was made by Disston for a Millers Falls box, and ended up with this Stanley box. Also on this box, there is one minor part broken that I can replace, and some stock guides that are missing, but easily replaced with a shop made solution. The handle had been repaired badly with two screws and failed glue, but I re-glued it, and sanded the join to match. The saw's blade was either sharpened recently, or had hardly been used as the teeth were in great condition and very sharp. It's now both a real worker, and a looker. I was looking over other examples of the Stanley 246 online, and saw how the stock guides interacted with the sacrificial board with a dado, not a full through cut as mine was. So I decided to fabricate my own stock guides, and re-do the board. I acquired some 1/2" steel stock from the bog box store, and simply cut, bent, and smoothed it to fit. I them made a new sacrificial board with dadoes, and like the result much better. The stock guides look like they should be flimsy and unhelpful, but really do help hold the work. They are even better with the assistance of the two little pointed set screws that can be extended into the work near the cut opening in the fence, providing the tiniest point of "grip" to the work.